Bob Quinn is a leading green businessman, with successful ventures in both organic agriculture and renewable energy. Raised on a 2,400 acre wheat and cattle ranch in Montana, Quinn earned a Ph.D. in plant biochemistry at UC Davis before coming home to farm in 1978. In 1986, he planted his first organic crop, and by 1989, he had converted his entire farm. 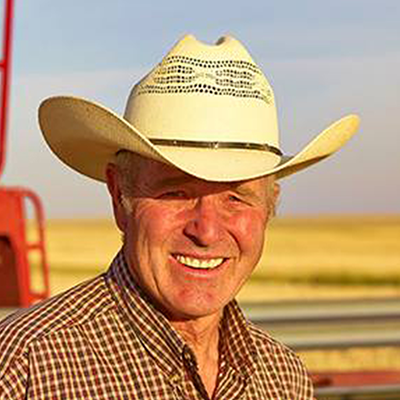 He served on the first National Organic Standards Board, which spurred the creation of the USDA’s National Organic Program, and has been recognized with the Montana Organic Association Lifetime of Service Award, The Organic Trade Association Organic Leadership Award, and Rodale Institute’s Organic Pioneer Award. As an entrepreneur, Quinn has founded five significant enterprises: a regional mill for organic and heritage grains, an organic snack company, a business that sells culinary oil and recycles it as biofuel, Montana’s first wind farm, and Kamut International. Kamut, the ancient grain Quinn revived from a pint jar of seed found in a neighbor’s basement, is now grown on 100,000 acres of certified organic cropland and manufactured into over 3500 products worldwide. 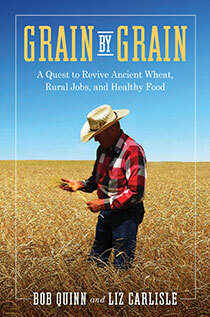 In addition, Bob remains active in research, and has co-authored pioneering studies on the nutritional benefits of ancient grain.